We specialise in personalised labels for nursery children, they can be personalised with the child’s name and optional additional contact and/or medical information which can either be printed on the front beneath the child’s name or on the back depending which type of label size you choose e.g. 25mm x 50mm. Our personalised labels for nursery are the sew in type and this means they won’t come out which can sometimes happen to the traditional iron on name labels sold by other companies. Your labels can be printed in a standard bold black font or you can choose your own font, print colour and even optional motif. We have a library of over 10+ fonts, 20+ print colours and 50+ optional motifs including many to suit both boys and girls e.g. animals, hearts, sports, transport and many more. 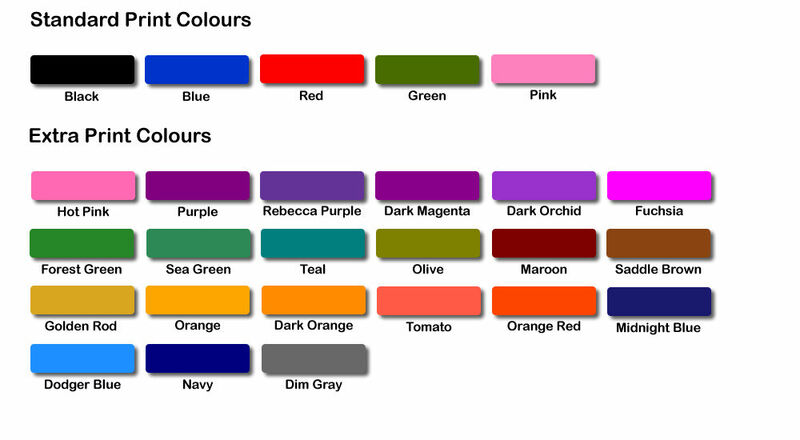 If you have a particular font, print colour or motif you would like us to use for your personalised nursery labels this is no problem either as we are more than happy to work with you to produce something special for you. Additionally there are a range of label sizes available to suit your needs and they include 25mm x 50mm, 10mm x 50mm and more, we also cut and seal each label as part of our service. All of our personalised labels are produced at our Cambridge UK production facility and use a bespoke process we have developed and tested over a number of years, this means we are able to offer an almost unlimited amount of personalisation options that will produce a clear, crisp and high detail print quality that other companies using standard methods cannot match. 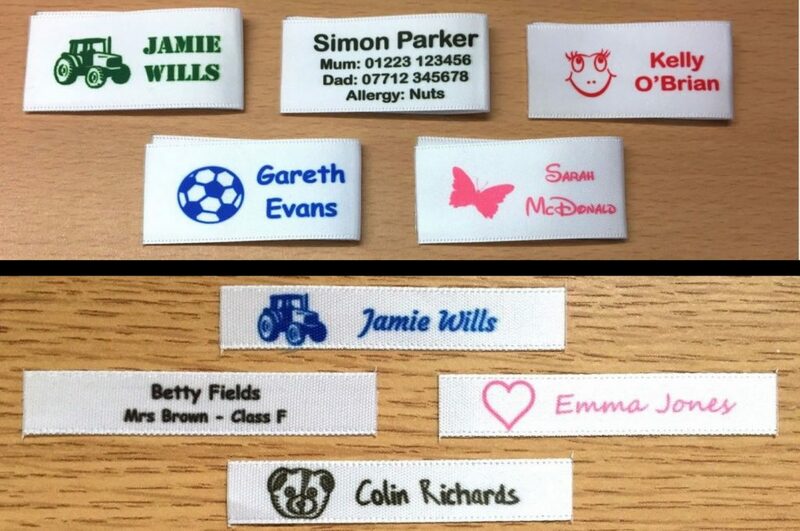 We have sold many thousands of personalised name labels for nursery children and have hundreds of happy customers, we guarantee that our name labels will not fade even when washed in bio/non-bio washing detergent, hot temperatures and we have even tested in concentrated bleach with no adverse effects. This is why we can stand by our promise and our excellent customer feedback reflects this. Ordering our personalised labels for your nursery child or children is made easy by our website, we will then make your labels quickly and ship them in safe and secure packaging with a shipping service that’s next day in most cases. We also save each design, if you want to re-order in the future that’s no problem and we can produce identical labels again for you.